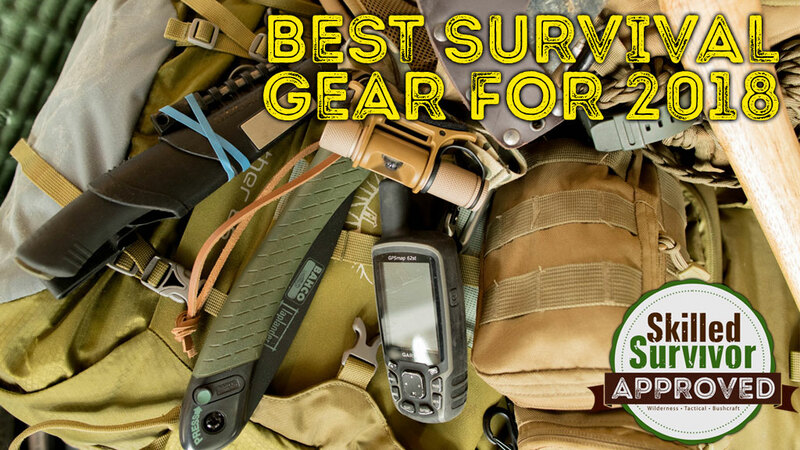 Whether it’s the possibility of war, a pandemic, or a natural disaster, it’s necessary to have the most important survival gear. 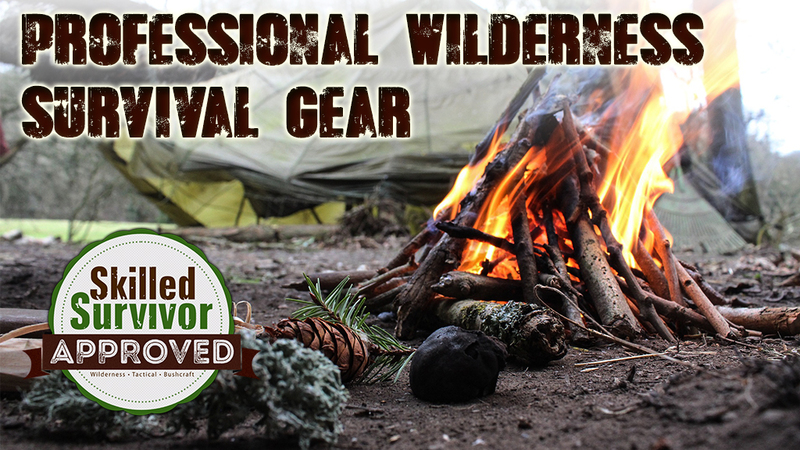 The following describes the best survival gear for 2018 and backup options. 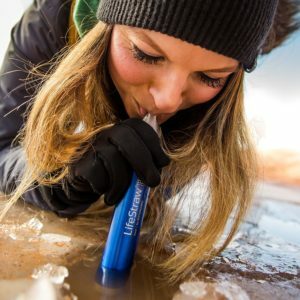 A reliable water filter or water straw that removes 99.9 percent of viruses and germs is part of the best survival gear you’ll need. Large purification systems can cost several hundred dollars while individual straws can be purchased for $35 or $45 dollars. If you’re not sure if your water filter is still effective or don’t have one, it’s important to always have a few water purification tablets on hand. The right Self-Defense “weapon of choice” is going to be different for every person depending on your level of training and expertise. For some, a firearm will be the go-to choice to protect yourself and your family. If your not comfortable with a firearm a bat or fixed blade knife could be a less effective option. A stun gun can be as effective as a small handgun for stopping an intruder at very close ranges. The best thing about it is it’s silent and won’t alert anyone nearby. There are currently stun guns available that look like cell phones and more expensive and high powered models that look like firearms. These offer self-protection as well as being discreet. If you don’t have any other type of weapon, pepper spray is definitely better than nothing. Pepper spray is inexpensive and fairly effective at stopping humans and animals. 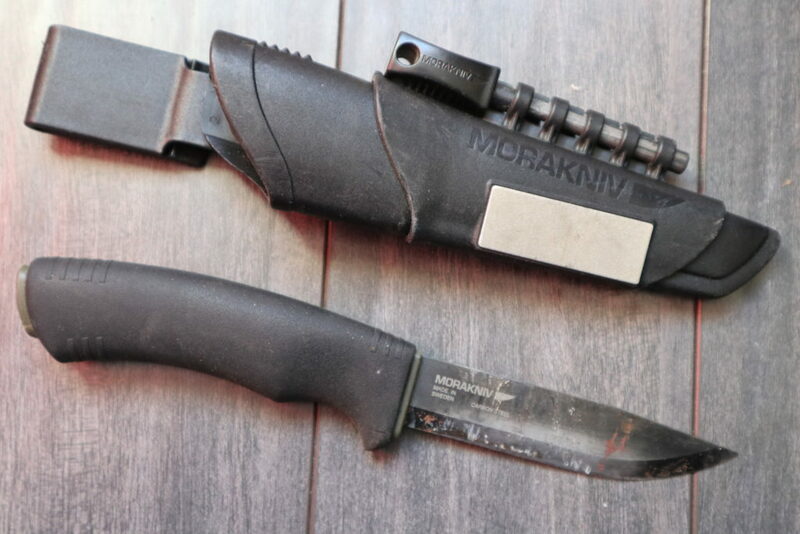 A quality knife is essential in almost any survival situation because it can be used for so many things. It’s recommended to choose a larger knife, one that is almost a machete size. This can be used for cutting branches to put together a shelter, as well as a variety of other uses. A basic pocketknife is extremely useful in the absence of a larger, high quality knife. It’s probably a good idea to carry a small pocket knife in addition to a larger knife. Many people suggest stocking up on freeze-dried food instead of storing canned food. But canned food has several advantages. Freeze dried food needs to be prepared, and that takes water that may be scarce as well as a source of heat. Canned food can be eaten without using any other resources or preparation. Stock up on high protein canned food such as tuna and salmon. It’s probably a good idea to keep a variety of food, both canned and freeze-dried, since you don’t know what type of situation you’ll be in and if you’ll have access to extra water and heat. A poncho shelter is preferred to a tent because it’s more versatile. 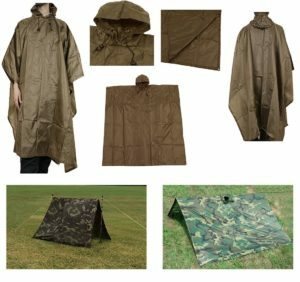 A poncho shelter can not only be used in a variety of ways as a shelter but you can also use it as a rain catcher, a wind deflector when cooking, and for keeping a sleeping bag or other items on the ground dry. If you choose to get a tent instead of a tarp or poncho shelter, try to select one that is as light and easy to carry as possible. There’s always a debate about whether you need matches, lighters, or a more elaborate type of fire-starter. Unless you use high quality, waterproof matches, keeping matches around isn’t advised since cheap matches can be unreliable in bad weather. Since lighters are small and lightweight it’s a good idea to keep several of them around to make sure you can always start a fire. It’s also important to remember that in dire situations batteries and steel wool can be used to start a fire. Binoculars come in a wide variety of prices. It’s a good idea, however, to spend at least a couple hundred dollars to invest in a good pair. Whether you’re in the wilderness or an urban area, being able to see what’s around as far as possible in every direction is often crucial to survival. There really isn’t an alternative to a pair of binoculars so it’s a good idea to have at least two. Make sure at least one is waterproof. 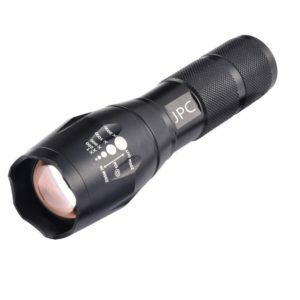 This type of flashlight can also be used for defense as well as for its light. Strobe flashlights are small and durable and a must for any survival packet. If you don’t have a strobe flashlight it’s important to at least have one or two general flashlights. Find one that’s waterproof and stock up on plenty of batteries. Even a small first aid kit is essential to treating small wounds or for carrying any type of medication you may need. A kit should include wound dressing, antibiotic ointment, and painkillers. If you don’t have a first aid kit at least have some sort of disinfectant. This could include hydrogen peroxide or even a small bottle of rubbing alcohol. This is lightweight, nylon rope that is used in parachute jumping. It’s better than rope because it’s more versatile and doesn’t rot as easily. Rope is necessary for everything from tying together sticks for a shelter to climbing up and down rough terrain. If you don’t have para-cord, twisted rope is the next best thing. 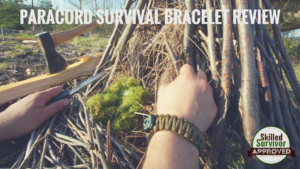 Be sure to read our review on Superesse Straps Paracord. A pair of thick work gloves are necessary to protect your hands. If you can’t use your hands due to extreme cold or injury you’re at a serious disadvantage. If you don’t have a pair of thick work gloves at least keep a pair of basic winter gloves around to keep your hands as protected as possible. Let’s face it, the more skills you have the less gear you need. If your serious about Buschcraft, go check out our blog about the top reasons why Bushcraft Skills are Important.